Adam's girlfriend Robyn didn't feel like Adam loved her. After church on Sundays she'd accuse him of noticing every other woman at church. Adam loved Robyn, but knew he should be treating her better. He also knew he struggled with wandering eyes and wanted to learn how to stop it. Adam thought that noticing other women was natural, but other men seemed to be able to control it. Why couldn’t he? He loved Robyn and wanted things to work out with her. Yet he knew their relationship was getting worse. He tried to turn things around himself, but wasn't having much success. He decided to get some counseling help, and since his faith was so fundamental to who he was, he knew he needed to incorporate it into any help he sought. Adam wanted a Christian man who could relate to him and his struggles. He didn't want to go to a pastor at his church, though. He was embarrassed and didn’t want a pastor to know that he was having this issue. He'd heard some Christian counseling success stories, so he figured he would give it a try. A friend at church recommended Guy Stuff Counseling. At Guy Stuff, Adam immediately felt comfortable with the non-judgmental, Christian-based approach to the counseling. He really liked the blending of prayer, references from the Bible, and focus on achieving a positive outcome. He left each meeting encouraged and hopeful. Dr. Kurt taught Adam 3 practical tools he put to use to retrain his thoughts and eyes. When Robyn told him she noticed the changes in him, Adam felt great. Today, he and Robyn continue to work on their relationship and growing closer together. 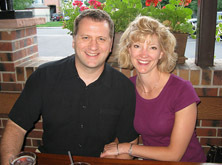 Want to be one of our Christian counseling success stories? See how to start Christian counseling and get Guy Stuff's help today. Don't forget to take our Partner Rater Quiz (for men and women, married and non-married) and learn what women have told us they want from their man.